An ideal wedding gift from Scotland, this traditional pewter toasting quaich features the timeless beauty of Celtic artwork surrounding the iconic Scottish thistle. 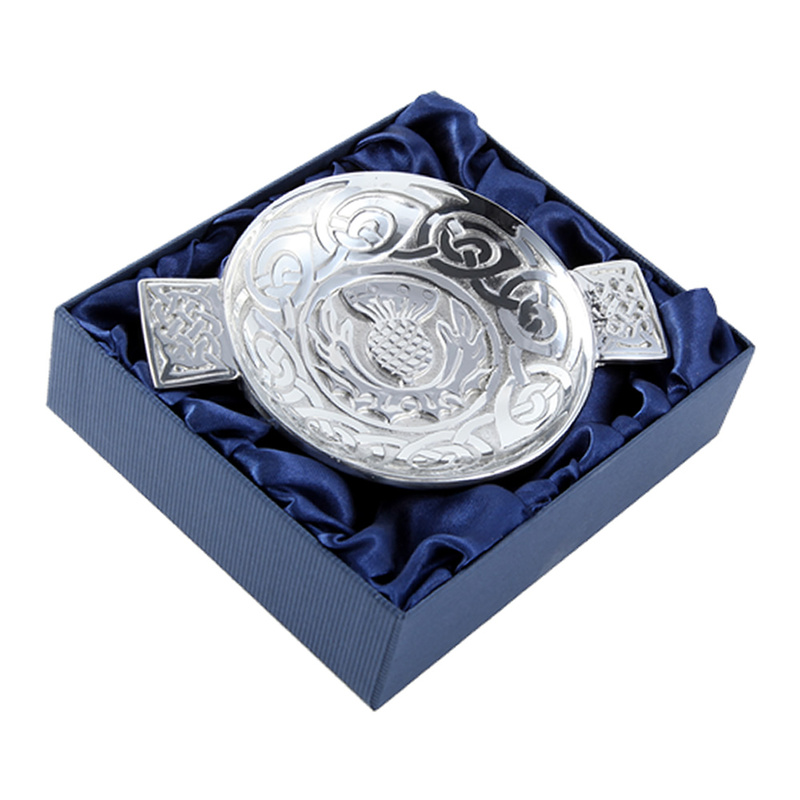 This stunning pewter quaich features intricate designs inspired by traditional Celtic carvings - the bowl has been decorated with a traditional thistle and interlace pattern while the handles boast beautiful interlaced knotwork designs. 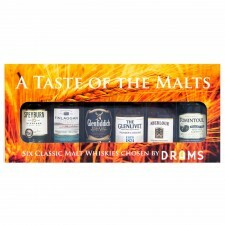 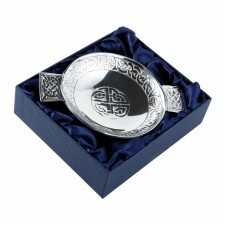 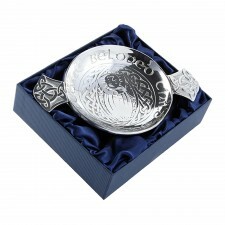 The perfect quaich for any special occasion, the Celtic carvings make it an ideal gift idea for friends and family with Celtic connections as well as the perfect quaich for toasting those special occasions!